While waiting for our flight home, Jaysen and I were pondering over where our next destination would be. We have barely unpacked our bags and we are already on travel sites and scouring the internet for seat sales. :) This is the funny affliction for those bit by the wanderbug. The tires have barely touched the runway and I am already daydreaming of far-away cities and blinding white sand. 1) Scottish Highlands: Being in the Isle of Skye will be enough: The landscape, the dinosaur fossils, fairy pools, the history..Arghh.. But to able to sing Adele's Skyfall (even if it's just in my head) while wandering around the Isle of Skye is the ultimate! Eeeek! I can imagine it now! Hahaha. 2) Iceland: This is Jaysen's Number 1 but I am writing this post, so it's Number 2 to my Number 1. :) This is a bit tricky. Of course we want to see the Northern Lights (Aurora Borealis) and get up close a glacier so that means we have to go in the winter, around November to March. BUT, I also want to travel around the Ring Road to see the natural wonder that Iceland is. That is best done in the summer where everything comes alive with color, the fjords, the mountains, the lagoons, geysers, waterfalls, waterfalls with rainbow (yes! ), as in everything. Just thinking about it gets me so excited. :) This means, we have to go twice (dreams, right?) or stay for a year (hahaha, I wish!). 3) Vancouver: This is on the list because of Number 2. If we won't be able to catch the northern lights in Iceland, this is the next best place to catch it. So the hubby wants this here as an insurance. :) You might notice by now we are kinda bent to catch the Northern Lights, plus Jaysen wants to sleep in one of those igloo-looking things under the night sky wherever that may be. Oh well. There is also an upside of being close to Banff. Banff is only an hour and a half away by plane from Vancouver. 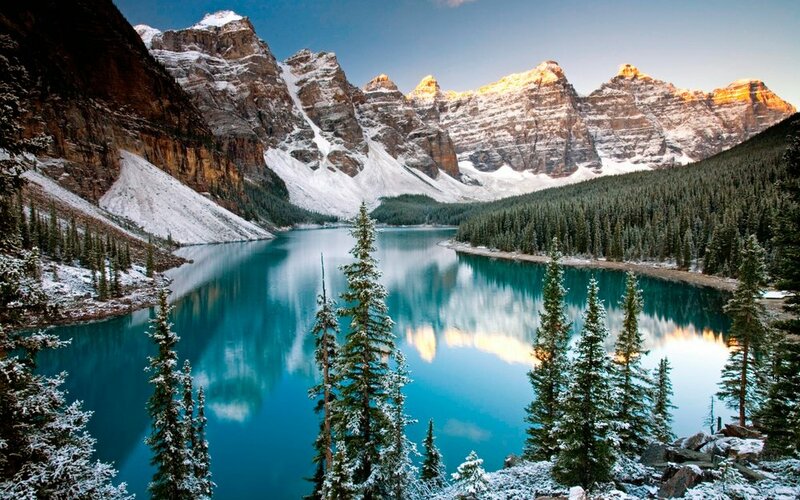 If we will be able to go, Banff will be the highlight for me. Oh Banff. Enjoying hot chocolate while gazing at snow capped mountains and doing nothing? Yes, yes, yes, please! I am praying we get to tick these items off our list. My piggy bank should start getting busy and hustle soon. :) But, wherever the destination maybe, it is the journey, the experiences, and the company that will really matter. Start with a mindset of letting go and not sweating the small stuff. Plans get disrupted, people don't act as predictably as you want them to, things get lost. Just enjoy, savor the moment where you can just look back and appreciate all that life has given you. Traveling to me, also is a time to be grateful. Grateful that our Lord God has blessed me with a life partner who share my passion and endures my quirks. Grateful that we are blessed to be healthy to do all the walking, running, and hiking that is part of traveling and grateful for all the things we have back home. I live for dreams, big and small. Dreams give me something bigger to look forward to more than the accomplishing the daily routine. It lends a spark to the day, especially when it becomes dreadful. I particularly love big dreams, dreams bigger than I can even begin to imagine how to begin. These kinds of dreams make me believe that anything is possible if you put your mind to it. It makes me learn more about myself and discover what I can do as I try to go beyond my comfort zone in making these dreams happen. It breaks down walls that have unknowingly crept around my consciousness creating limitations. Even if one dream doesn't fully come to life, everything I have learned and experienced in the process of making it happen is definitely worth it.